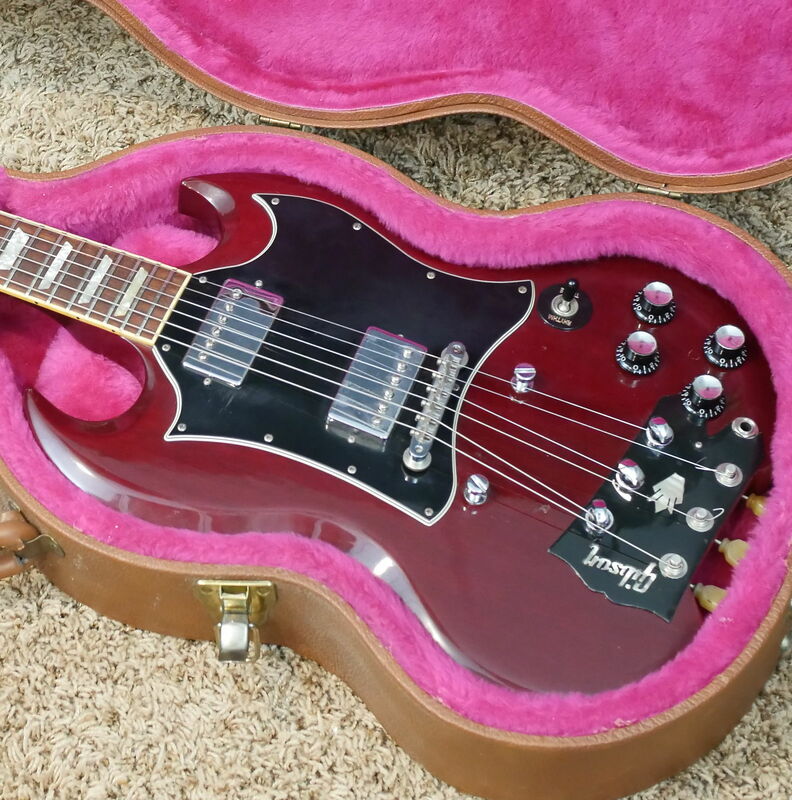 For guitar nerds across the internet, one blurry image of the Headless Gibson SG that has found its way to many a forum and "world’s strangest guitars" lists has long led to puzzlement and wonder. Why turn a Gibson into a Steinberger? Did they really move the headstock into the body? Is this even real? The Trogly’s Guitar Show, a popular YouTube channel, recently solved the mystery by purchasing the guitar from its creator and examining it in detail. And now it can be yours, as Trogly is selling the Headless SG on Reverb. As you can see in the video below, the original headstock had been badly damaged twice. The wood is still badly splintered around the protruding truss rod. The modification into a headless instrument was an inventive way to deal with the unfortunate break. The headstock has, in fact, not been fully transported into the body. Instead, just the headstock’s veneer has been moved and glued on to the front, while the back of the body has been routed to allow for the tuners. The headstock’s original tuners have been used for the side with free access, while three gearless Steinberger tuners are used for the now-internal tuning pegs. To complete the look, the guitar’s creator cut off the top back of the headstock and screwed it into the back of the body, saving the original serial number. For more information and backstory about the guitar, watch the full video below. And if you want this rare piece of meme history for yourself, click here to buy it today. The Trogly Guitar Show - "The ‘Headless SG’ is Real!"